This is the story of beer brewing in the Hunter River district, from the beginnings of the industry around 1830 until the sole remaining brewery closed a century later. The story especially concerns Maitland and Newcastle, the district’s most important centres of population. Free settlement in New South Wales began to spread beyond Sydney and the Cumberland Plain in the 1820s. In the Hunter River district, natural advantages including a great extent of good soil and the availability of water carriage allowed the development of agriculture, and the settlement of a larger population than was possible in inland districts suited only to the grazing of sheep and cattle. New breweries naturally were established to supply the needs of the populace in the newlysettled districts. 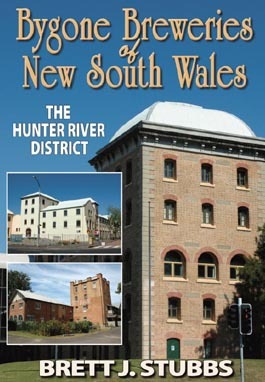 The first breweries to operate in New South Wales beyond the Sydney district appeared probably in the Hunter River district. Brewing had been adopted with great enthusiasm in its then main town, Maitland, by the mid-1830s. This book is essential reading for anyone interested in the history of beer brewing, and will also appeal to those with a more general interest in the history of the important Hunter River district.